Karl Ackerman and Z in Greg’s front yard years ago. Karl David Ackerman passed away on the evening of Monday, October 24, 2016, at the age of 61, after a long struggle with cancer. Born on July 27, 1955, in Washington, D.C., he spent his childhood abroad in Norway, Thailand, and Taipei, as part of a Foreign Service family. He attended Walter Johnson High School in Bethesda, Maryland, the University of Maryland, and Boston College, where he earned a B.A. in political science. His deep love of books and reading led him to a job at Barnes and Noble when it first opened in Boston, and then to the Savile Bookshop in Washington, D.C., where he met Jennifer Gorham. They married in 1980 and lived together in New Haven, New York, Washington, D.C., Cabin John, Maryland, and Lewes, Delaware, where Karl wrote his first novel, The Patron Saint of Unmarried Women. The couple moved to Charlottesville in 1992. A second novel, Dear Will, was published soon after. Writing fiction was Karl’s passion throughout his life. For the past 15 years, he also worked in business with his brother John. Renowned for his dedication to public engagement, Karl spent many hours laboring on behalf of the Charlottesville Public Schools, the Woolen Mills Neighborhood, and the City of Charlottesville. He served for several years on Charlottesville’s Sister City Commission and on the Woolen Mills Neighborhood Association Board. Karl loved telling stories, planting trees, observing birds, making bread, walking along the Rivanna River, playing basketball, watching soccer, “dot” painting in the spirit of Aboriginal art, and loving his family deep and well. 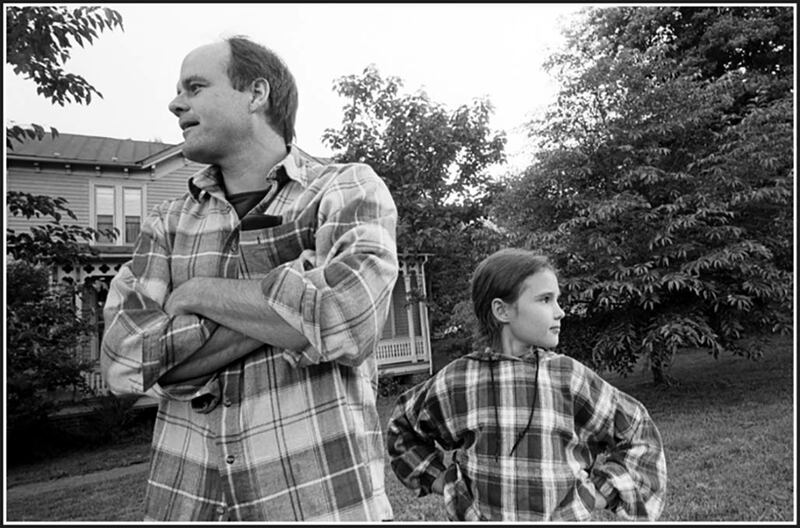 As his close friend and fellow novelist Lisa Howorth wrote, “He was kind, generous, honest, sensitive, handsome, very smart and perceptive, a good writer, and hilariously funny, and he cared deeply about all people.”Karl is survived by his wife of 36 years, Jenny Ackerman, and his two daughters, Zo Claire Ackerman, 24, and Elinor (“Nelle”) Kathryn Ackerman, 21. We give heartfelt thanks to the many friends, family, and caregivers who helped Karl through his difficult illness and created such a powerful net of love and support for us all. A celebration of Karl’s life will be held at The Haven Sanctuary on Saturday, November 19, 2016,at 10:30 a.m. The address is 112 West Market Street, Charlottesville. In lieu of flowers, the family asks that donations be made in Karl’s name to the Hospice of the Piedmont or The Haven.